The Internal Revenue Code provides that only “spouses” are eligible to file a joint tax return. I.R.C. § 6013(a). Spouses who file a joint tax return are jointly and severally liable for the taxes related to a joint tax return. That means that one spouse can be held liable for the entire amount owed—all of it. Thus, joint tax returns can present some unexpected consequences and liabilities when taxes remain unpaid. The most common avenue for seeking relief from joint and several liability for federal taxes is known as Innocent Spouse Relief. Innocent Spouse Relief is designed to relieve one spouse—known as the “requesting spouse”—from liability, leaving the other spouse liable for the remaining deficiency. Innocent spouse relief is not available unless a joint tax return was filed. Some taxpayers in community property states, like Texas, may thus wish to seek relief from the operation of community property rules—an avenue that can provide a separate route to relief from tax liabilities related to a spouse. Traditional relief is available with respect to understatements of tax that are attributable to erroneous items of the other spouse if certain conditions are met. Under section 6015(b), a requesting spouse is entitled to relief from a tax liability attributable to an understatement if that spouse establishes that: (1) in signing the return, he or she did not know and had no reason to know of the understatement; and (2) taking all facts and circumstances into account, it is inequitable to hold her liable for the deficiency in tax attributable to the understatement. The election to be relieved of liability must be made within two years after the IRS brings collection activities with respect to the taxpayer. Unreported income. Any gross income item received by the other, non-requesting spouse (or former spouse) that is not reported on the tax return. Incorrect deduction, credit, or basis. Any improper deduction, credit, or property basis claimed by the other, non-requesting (or former spouse). Deductions were taken for expenses that were never paid or incurred. For example, the non-requesting spouse deducted $10,000 of expenses on Schedule C of a joint Form 1040, but never paid for the expenses. The non-requesting spouse claimed a business fee deduction of $10,000 that was for the payment of state fines, but that were non-deductible. No factual argument can be made to support the deductibility of the expense. For example, your spouse claimed $4,000 for security costs related to a home office, which were actually veterinary and food costs for your family’s two dogs. An eligible spouse who makes an election may allocate tax deficiencies in proportion to each spouses contribution to the deficiency. Under section 6015(c), a spouse may qualify for such relief if they: (1) are no longer married to the non-requesting spouse (divorced or widowed) or are legally separated; or (2) has not been a member of the same household as the non-requesting spouse at any time during the 12-month period ending on the date of the filing of the election for relief. The election to be relieved of liability based on separation-of-liability relief must be made within two years after the IRS beings collection activities with respect to the taxpayer. If a spouse does not qualify for innocent spouse relief or separation of liability relief, they may still qualify for equitable relief. (1) The requesting spouse filed a joint return for the taxable year for which he or she seeks relief. (2) Relief is not available to the requesting spouse under section 6015(b) or (c). (3) The claim for relief is timely filed. A claim is timely filed if it is made on or before the Collection Statute Expiration Date (CSED), which generally expires 10 years after the assessment of tax. (4) No assets were transferred between the spouses as part of a fraudulent scheme by the spouses. (5) The nonrequesting spouse did not transfer disqualified assets to the requesting spouse. For this purpose, the term “disqualified asset” has the meaning given the term by section 6015(c)(4)(B). (6) The requesting spouse did not knowingly participate in the filing of a fraudulent joint return. (7) The income tax liability from which the requesting spouse seeks relief is attributable (either in full or in part) to an item of the nonrequesting spouse or an underpayment resulting from the nonrequesting spouse’s income. 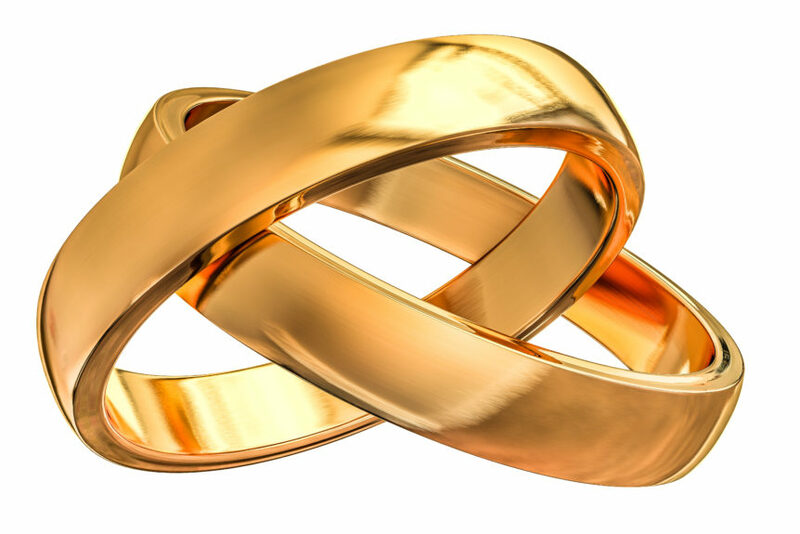 Notably, if an item is attributable or partially attributable to the requesting spouse solely due to the operation of community property law, then that item is considered to be attributable to the nonrequesting spouse. Moreover, if the requesting spouse establishes that she was the victim of abuse and that, as a result of that abuse, she was not able to challenge the treatment of items on the return or able to question the payment of any balance due reported on the return for fear of the nonrequesting spouse’s retaliation, the Service can grant equitable relief even though the deficiency or underpayment may be attributable in part or in full to an item of the requesting spouse. (1) Marital status.Whether the requesting spouse is no longer married to the nonrequesting spouse as of the date the Service makes its determination. If the requesting spouse is still married to the nonrequesting spouse, this factor is neutral. (2) Economic hardship.Whether the requesting spouse will suffer economic hardship if relief is not granted. For purposes of this factor, an economic hardship exists if satisfaction of the tax liability in whole or in part will cause the requesting spouse to be unable to pay reasonable basic living expenses. If denying relief from the joint and several liability will cause the requesting spouse to suffer economic hardship, this factor will weigh in favor of relief. If denying relief from the joint and several liability would not cause the requesting spouse to suffer economic hardship, this factor is neutral. (3) Knowledge or reason to know. In the case of an income tax liability that was properly reported but not paid, whether the requesting spouse knew or had reason to know that the nonrequesting spouse would not or could not pay the tax liability at that time or within a reasonable period of time after the filing of the return. This factor weighs in favor of relief if the requesting spouse reasonably expected the nonrequesting spouse to pay the tax liability reported on the return. Moreover, if the requesting spouse was abused by the nonrequesting spouse (as described in section 4.03(2)(c)(iv) of Rev. Proc. 2013-34),or the nonrequesting spouse maintained control of the household finances by restricting the requesting spouse’s access to financial information, and because of the abuse or financial control, the requesting spouse was not able to question the payment of the taxes reported as due on the return or challenge the nonrequesting spouse’s assurance regarding payment of the taxes for fear of the nonrequesting spouse’s retaliation, this factor will weigh in favor of relief even if the requesting spouse knew or had reason to know about the nonrequesting spouse’s intent or ability to pay the taxes due. (4) Legal obligation.Whether the requesting spouse or the nonrequesting spouse has a legal obligation to pay the outstanding Federal income tax liability. For purposes of this factor, a legal obligation is an obligation arising from a divorce decree or other legally binding agreement. This factor weighs in favor of relief if the nonrequesting spouse has the sole legal obligation to pay the outstanding income tax liability pursuant to a divorce decree or agreement. (5) Significant benefit.Whether the requesting spouse significantly benefited from the unpaid income tax liability or understatement. Notably, however, if the nonrequesting spouse controlled the household and business finances or there was abuse such that the nonrequesting spouse made the decision on spending funds, then such factors mitigate this factor so that it is neutral. If only the nonrequesting spouse significantly benefitted from the unpaid tax or understatement, and the requesting spouse had little or no benefit, or the nonrequesting spouse enjoyed the benefit to the requesting spouse’s detriment, this factor will weigh in favor of relief. (6) Compliance with income tax laws.Whether the requesting spouse has made a good faith effort to comply with the income tax laws in the taxable years following the taxable year or years to which the request for relief relates. (7) Mental or physical health.If the requesting spouse was in poor physical or mental health at the time that the returns at issue were filed or at the time relief is requested, this factor will weigh in favor of relief. If the requesting spouse was in neither poor physical nor poor mental health, this factor is neutral. For more on Innocent Spouse relief, see Innocent Spouse Relief and more on Innocent Spouse Relief. Abuse for these purposes includes physical, psychological, sexual, or emotional abuse, including efforts to control, isolate, humiliate, and intimidate the requesting spouse, or to undermine the requesting spouse’s ability to reason independently and be able to do what is required under the tax laws. All the facts and circumstances are considered in determining whether a requesting spouse was abused. The impact of a nonrequesting spouse’s alcohol or drug abuse is also considered in determining whether a requesting spouse was abused. Notably a finding of abuse within the meaning of section 4.03(2)(c)(iv) of Rev. Proc. 2013-34 may result in certain factors weighing in favor of relief when otherwise the factor may have weighed against relief.